This wearable electronics project demonstrates using a touch sensitive TFT display to act as a name badge with contact information. The software uses the resistive touch screen to detect swipes. When a swipe is detected, the app displays the corresponding image on the file system. See the 'Image Layout on SD Card section, for details on the file layout of the images for this project. The software for the TFT display requires the images in 24-bit BMP (.bmp file) format and have a width and height of 240x320. The application has a constraint on the layout of the images on the SD card. The application requires that all photos reside under a directory named 'ALBUM/' at the root of the SD card. 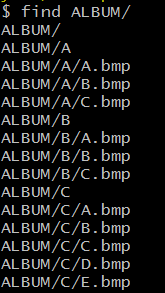 Under ALBUM/ directories named A-Z (A, B, C, etc...) each hold files named 'A-Z.bmp" (A.bmp, B.bmp, C.bmp, etc...). Wyolum Badger - This project gave the inspiration to use the A/A.bmp, A/B.bmp, B/A.bmp approach as a way to help navigate the SD card filesystem via touch screen swipes.